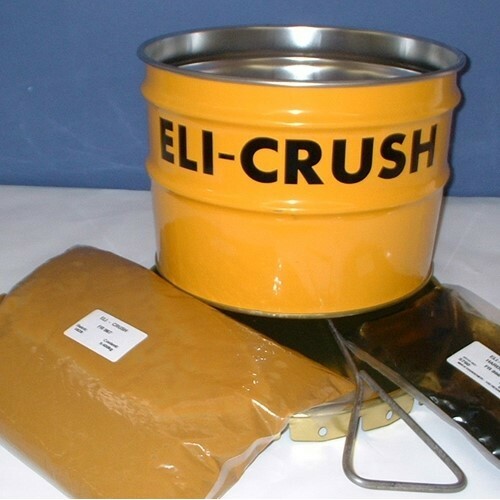 Eli-Crush FR866 Epoxy Crusher Backing Resin is a two part, ambient temperature curing, filler extended epoxy resin with good impact resistance and very low shrinkage. The resin is mixed with aggregate particles and spread into place where it sets to a durable, flexible surface. 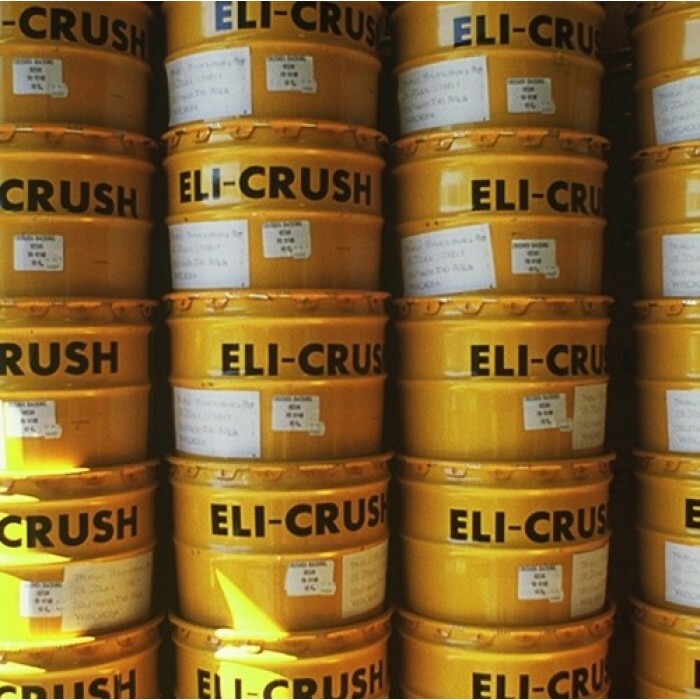 Eli-Crush FR866 shows no dermatitic properties and has a very low irritation potential at room temperature. It has low toxicity at ambient temperatures, however good industrial hygiene must be observed. Typical applications include the lining of primary and secondary cone crushers, grinding mills, bonding, filling, fastening, grouting of holding bolts and mould making. Block all cracks or gaps in the lining between the crusher and steel lining. 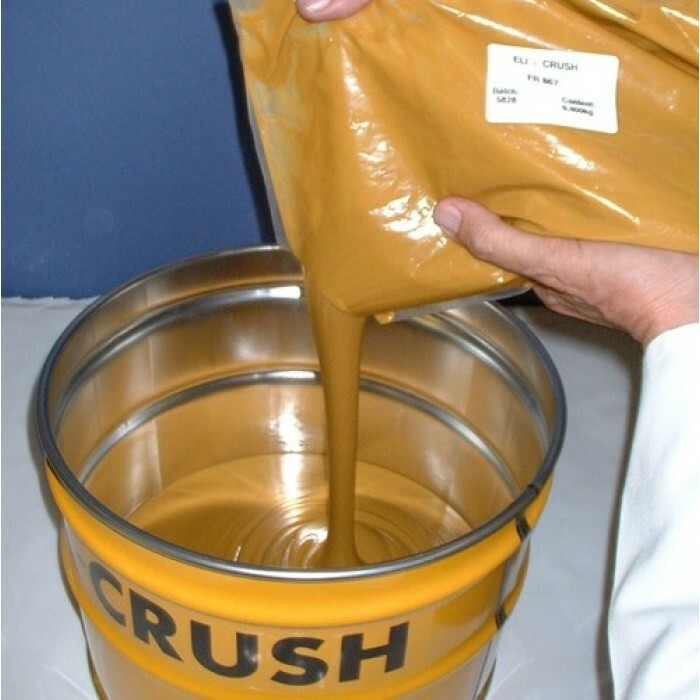 If no adhesion is required, apply a grease or silicon based release agent to the crusher bowl before casting. 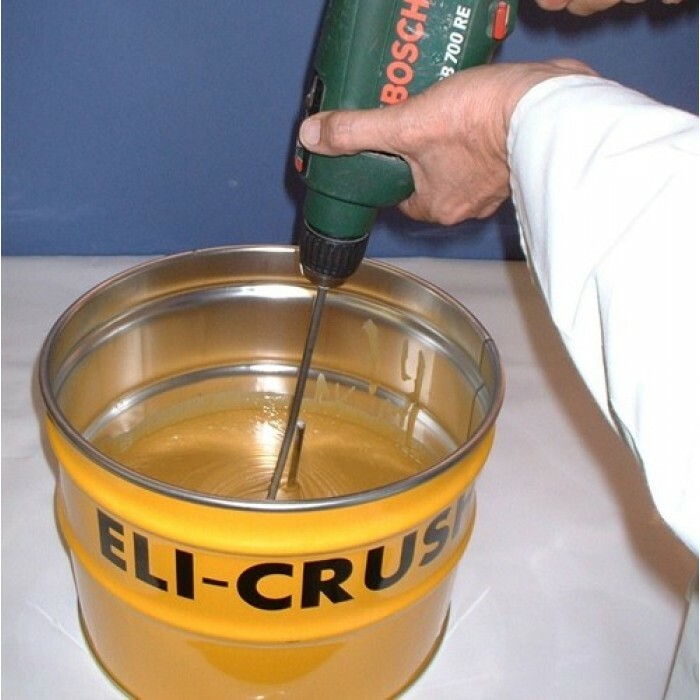 Mix resin and hardener for 3 minutes using a spatula or other flat tool until a uniform colour is achieved. Pour immediately after mixing, working life is 10-15 minutes after mixing. Increases in temperature will shorten the working time, gel time and setting time. Decreases in temperature will extend the working time, gel time & setting time.